To supplement or not to supplement? That is the question. To cut a long story short, for much of the population, nutritional supplementation may be necessary in order to optimize health and performance. The Standard American Diet (SAD) has left many of us with too much of certain nutrients and little to no sources of others. On top of that, because of poor soil quality due to destructive agricultural practices, our foods are not as nutritious as they once were. This is yet another reason why local, free-range, and grass-fed products are best. 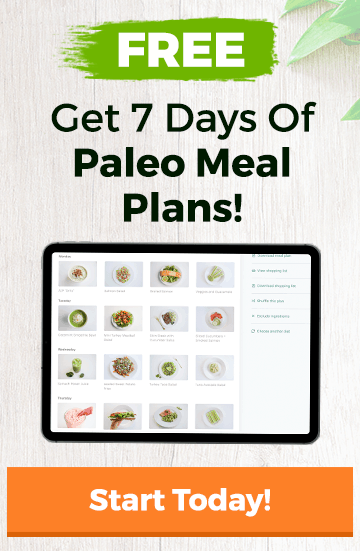 If you’ve consistently take a paleo approach towards nutrition, you’re eating some of the most nutrient-dense foods available and helping your body to thrive. When comparing a day of paleo eating to a day on a Standard American Diet, it’s pretty easy to see that the quality of calories consumed on a paleo diet are far superior to those found in the traditional western diet. This is great news because, whenever possible, you want the majority of the nutrients in your diet to come from food. Your body is designed to retrieve and break down nutrients from whole foods. The American Journal of Clinical Nutrition published a paper that stresses the importance of getting your vitamins and minerals from food. Eating tomato has a greater effect on prostate tissue than equal amounts of lycopene. Free radicles are reduced by consuming brassica vegetables. Just Take A Multivitamin, Right? Most multivitamins use synthetic alternatives to whole food vitamins and minerals (known as “isolates”). Your body can only absorb a small amount amount of each of these isolates and it can utilize even less. Most good multis will display these things prominently on the label. Now, with that said, most of the population does not need many of the nutrients that are included in multivitamins. Most multis will either give you more of certain nutrients than you actually need (for example, B6), and not enough of others that are hard to get enough of through diet alone (for example, magnesium). Most of your nutritional needs can be met by taking a few select vitamins, as it is these select few that the majority of the population is lacking. If you really want to know which vitamins and minerals you need, I highly recommend having some nutritional testing done, so that you are able find out what you really need. The Standard American Diet emphasizes mostly Omega-6 fats which are found in processed industrial seed oils and animal which are fed soy, corn, and grains. This has contributed to the Omega-6 to Omega-3 ratio of around 20:1. A healthy ratio of Omega-6 to Omega-3 would be closer to 6:1. These oils and and poorly-fed animals are highly inflammatory and essentially lead to many of the modern diseases and ailments in our world. Fish and krill oil are high in Omega-3 fats and, more importantly, rich in EPA and DHA – two essential fatty acids necessary for brain function. By supplementing with Omega-3 fatty acids and avoiding industrial seed oils (see healthy fats chart), you can balance out your Omega-6 to Omega-3 ratio. Taking roughly one to two tablespoons of fish oil per day will probably be enough helping to balance out those ratios, provided you are mostly eating paleo foods. Depending on how active you are, how much sleep you get, what size your body is, and how good your diet is, you may need to take more but, for now, those one to two tablespoons should do the trick. Opt for the liquid version rather than capsules because the liquid version is easier for your body to absorb, does not contain artificial ingredients, and stays fresher. That’s just the tip of the iceberg. There have been plenty more studies showing other benefits as well. There are some amazing brands out there that make terrific tasting fish oil. 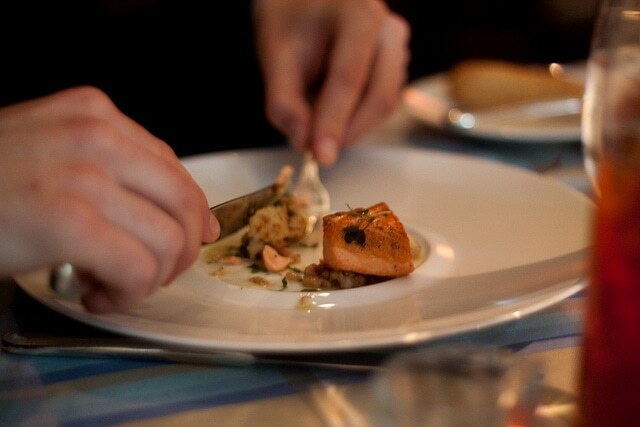 However, if you just can’t have it, for whatever reason, I suggest trying your best to consume about a pound of wild-caught salmon per week. This should give you some of the same benefits. It should also be noted that if you are taking blood thinners, have a bleeding disorder, or are about to undergo surgery, fish oil should be avoided, as it can tend to thin out the blood a bit. You can also increase the level of Omega-3s in your diet by avoiding soy, corn, and grain-fed animals, and by eating more grass-fed meats like beef and lamb or wild-caught seafood like salmon instead. Most of the vitamin D consumed in the US is fortified or added to foods in the form of D2, which is about 87% less potent than vitamin D3, is converted by the body to an active form much slower, and has a shorter shelf life than D3. Vitamin D3 is a pro-hormone which is vital for immunity and physiological function. It also increases levels of glutathione – an antioxidant which is extremely important for detoxifying the body of heavy metals. D3 is actually fairly easy to consume, provided you make a concerted effort. Exposing your arms, legs, neck, and face to the sun and consuming wild-caught seafood like sockeye salmon and Wild Channel Catfish are great ways to get close to the 2,000-5,000 IU of vitamin D that are recommended per day. Many of the modern illnesses that plague society begin in the stomach. This is why eating foods which promote gut health can make a huge difference to both your short- and long-term health. These are just some current autoimmune-related health issues that can be improved if proper gut health is maintained. Due to the increase in antibiotic use, NSAIDs (Advil), and the consumption of processed foods and industrial seed oils (soybean, cotton seed, etc.) inflammation throughout the body and specifically in the digestive tract is now very common. The liver helps to rid the body of toxins, which helps to reduce inflammation but, with low levels of good bacteria in the body, the body’s elimination system (bowels, bladder, and skin) can get all clogged up, which makes it difficult to remove some of those toxins. Good bacteria create an environment in which B-vitamins, minerals, and other nutrients can thrive. This bacteria also our bodies break down lipids and cholesterol. It also strengthens the brain/gut connection, helping to reduce the risks of behavioral health problems like autism, depression, and anxiety. Magnesium is a very difficult nutrient to get enough of through your daily diet alone (even if you are pro at eating paleo). This is one of the major reasons that carefully supplementing your regular diet could make a huge difference to your health. You may have a magnesium deficiency if you have chronic headaches or experience fatigue, weakness, or a loss of appetite. K2: Excess calcium can be deposited in the arteries (calcification). To avoid this, vitamin K2 aids calcium metabolism. K2 also helps to prevent heart disease. Vitamin A (Retinol): Helps to assimilate water-soluble vitamins, minerals, and proteins. It is also a very powerful antioxidant. Vitamin C: Helps to maintain high levels of the most powerful antioxidant in the body, glutathione, and fights infection. It also helps with collagen production and connective tissue. 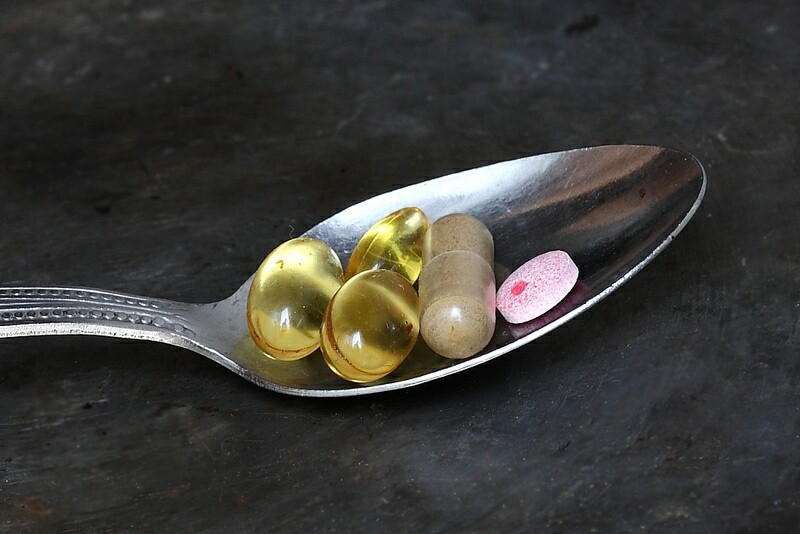 Just to remind you, supplements are a way to “supplement” a healthy, well-balanced diet to increase vitamin and mineral intake and to reduce inflammation and the risk of chronic diseases. The supplements mentioned in this article are those which the majority of the population is deficient in because of the food consumed on the Standard American Diet. If you are interested in finding out which nutrients you specifically need, please ask your doctor or naturopath for a nutrient test. A more in-depth description of some important paleo supplements can be found in the Ultimate Paleo Guide’s 30-Day Challenge.